Ever wanted to make your own book? At last! Good as the original EOS 7D was, five years is just too long for any digital SLR to stay at the top. It was still at the top of Canon&apos;s APS-C format D-SLR range – the last step on the ladder before going for a pro full-frame camera (like the 5d mkiii) – but newer APS-C models like the 70D were starting to show it up. But the EOS 7D Mark II fixes that even more emphatically than most Canon users would have dared hope, with 10fps continuous shooting – 2fps faster than its speedy predecessor – a new, higher-resolution sensor and an extremely sophisticated autofocus system. The original EOS 7D had a 19-point autofocus system – not much by today&apos;s standards, but all 19 points were higher-performance cross-type sensors, so it stacks up pretty well even now. However, the new camera goes way further. The EOS 7D Mark II has a 65-point AF system, all of them cross-type. That&apos;s more than the EOS-1DX, Canon&apos;s flagship full frame pro D-SLR. The EOS 7D Mark II also uses Canon&apos;s clever Dual Pixel CMOS AF technology to provide faster, more decisive autofocus in live view mode than you can get from regular contrast AF systems. This will be especially useful for movies, and the EOS 7D Mark II gets a boost here, too. It can shoot Full HD (1920x1080) footage at frame rates up to 60p, and it offers uncompressed 4:2:2 HDMI output to external recorders. There&apos;s an external mic socket, as you&apos;d expect, but also a headphone socket for monitoring noise during recording. The original 7D had an 18 million pixels, which was pretty impressive back then, and the 7D goes a step further with a much more modern 20.2 megapixel sensor. This is lower resolution than the 24-megapixel sensors in rival D-SLRs, but these comparisons can be misleading – 20 million pixels is still a lot by absolute standards. As well as offering on-chip phase detection autofocus, the new sensor brings a much higher maximum ISO than the original 7D, up from ISO 6400 to ISO 16,000 – though this can be expanded to ISO 51,200 in an emergency. The EOS 7D Mark II looks very impressive, and that includes the price. All this power can be yours for £1,600 (approximately US$2,600/AU$2,800) from November 2014. The Magnetic Background Support is designed to provide a convenient and portable background solution. Magnetic connectors provide an instant connection holding the background in two positions increasing stability. The easy operation of the magnetic system further aids photographers to quickly switch between backgrounds at a comfortable working height. Furthermore, the Magnetic Background Support is compatible with any traditional lighting stand with a 5/8 spigot connecter. Speed, security and sturdiness are key features of the Magnetic Background Support, making it the ultimate solution for busy photographers and videographers. 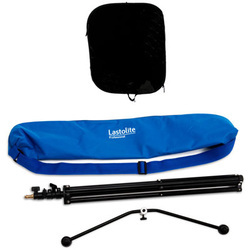 The new Magnetic Background Support is available individually or as part of a kit which includes a lighting stand and carry case. Samyang is readying to debut a 10mm f/2.8 lens for DSLRs and with an APS-C-size imaging sensor, it should hit the shops in Jan.
The10mm f/2.8 ED AS NCS CS is built from 14 elements in 10 groups. It includes two aspherical ‘AS' lenses and one made from extra-low dispersion glass. 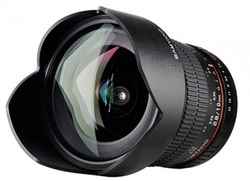 This is the first Samyang lens to feature a nano crystal anti-reflection coating - designed to boost image contrast. The Nikon-fit version will cost £469.99, while other mounts will be priced at £429.99. UK public admits to not printing and displaying their photographs, according to new research. Printing and displaying photos is quickly becoming a thing of the past in the UK. The research commissioned by Stampin’ Up! UK, found that 70% of respondents surveyed rarely printed and displayed their photos. Advancements in digital technology, particularly with the rise in smartphones and tablets, suggests people are using alternative means to store and share photographs. For more information please see below. Paula Gorry, UK Business Development Manager, Stampin’ Up! UK says: “These figures offer a fascinating insight into how we now capture and keep memories. Traditionally the family photo album would have pride of place on the mantelpiece of households across the country. However, developments in technology mean most memories are stored on hard drives which can easily be lost or forgotten. “Photo-preservation is clearly at a cross-roads. 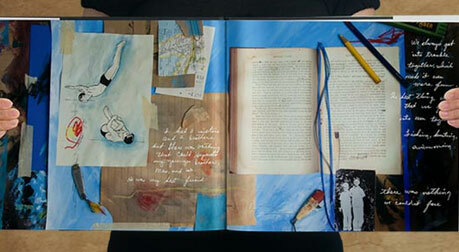 Nevertheless, physical and digital can work together to preserve photographs. Stampin’ Up! recently launched My Digital Studio, a software program which allows users to create photo books. Users can then send their creations to be professionally printed and delivered, or can print them at home. FUJIFILM has launched a unique digital magazine to help X-series users across the world get even more from their cameras, lenses and accessories. The free magazine is available in six languages and can be viewed through web browsers and both iOS and Android devices for a truly universal appeal. Every issue of Fujifilm X Magazine is 100 per cent interactive, which enables users to swipe through images, watch videos and explore cameras in detail providing a fully immersive experience that’s only possible with a digital magazine. In addition to the interactive functionality, each issue will contain inspirational photographs and interviews from X-series users, advice on how to get more from X-series cameras, plus equipment tests, the very latest news and fantastic competitions to win high-value prizes. Highlights from the launch issue include an interview with fashion photographer and X-Pro1 user Alex Lambrechts, how to get more from the Fujifilm Film Simulation modes and a gallery of stunning portrait images from X-series users around the world. It can also be downloaded for free to a tablet or smartphone by searching for ‘Fujifilm X Magazine’ in the Apple Newsstand or Google Play store. Hasselbad launch first compact camera - awesome! The world has never seen a point and shoot camera quite like this before. Iconic Sweden-based manufacturer Hasselblad, whose world famous cameras were taken to the moon by US astronauts back in the Sixties, and whose top quality products are prized by many of the world's greatest professional photographers, is all set for another major launch. enthusiasts and consumers who love to take outstanding photographs and shoot quality video without having to worry about F-Stops and focal lengths. With its own unique expression of style and matchless quality - Stellar is set for take-off around the globe at top stores like Harrods in the UK, Lane Crawford's in Hong Kong and China and Willoughby's Camera in Fifth Avenue, New York, later this summer. So what's so special about this new camera? Dr. Larry Hansen, Hasselblad's Chairman and CEO explains: "The world has never seen a compact camera like this before. The Hasselblad brand has always been about highest quality and distinctive style and we've created Stellar as a work of art capture device that you can simply point and shoot to acquire stunning pictures. It is available in six exotic wooden handle options - including walnut, padouk and zebra - with every hand-grip meticulously carved from a raw block of wood and fashioned by our experts. And our sleek and sophisticated carbon fibre hand-grip alternative is crafted using the same compression moulding technique embraced by the aerospace industry." He adds: "With Stellar, we have an extremely easy camera to use but it comes with the exquisite image quality and high-end handling that all our customers expect from Hasselblad. Just point and shoot and Stellar's advanced technology, combined with the magnificence of ZEISS lenses, takes care of the rest. We've packed full HD 1080/60p video with manual controls in this model too and this camera comes with a fantastic 3.6 x optical zoom. Our larger than average point and shoot sensor enables the user to capture extra light and reproduce every scene in truly stunning detail. And with wide range ISO sensitivity it's now possible to shoot in almost any light." A spokesperson for the Swedish firm has confirmed to Amateur Photographer that the Stellar will carry a UK price of £1,548 when it goes on sale in August. If you are going to a wedding this summer, have a look at these tips to capture the day in style. Don&apos;t forget to give the Pro photographer some space to do their thing tho!